The Blind Spot Effect is a book that essentially teaches how to pay attention to your thoughts and improve your observation of the world around you in order to find your blind spots. The end game of this is to enable you to make better decisions. Anyone looking to improve their decision making. There are a lot of real-life examples in this book, with quotations from experts that deal with the mind and brain. If you do not mind going through all this, then you will enjoy this book. The content is valuable and if you read carefully, could change the way you perceive things. Stories don’t always steer us in the right direction. Having a coherent narrative about something, no matter what it is, from “I’m fat” to “Immigrants are taking all our jobs” to “Our company is the best and will never be beat,” may all be easy on the brain, but are they true? We are generally accurate with our stories — at least enough to keep from bumping into walls while walking, to agree that a red light means stop, and to remember people’s names and the capital of Nebraska. So we tend to think all our stories are true. This is important to understand. Questioning our ideas and assumptions is hard. That’s why we dupe ourselves; we confirm our own ideas so quickly, based on the assumption that we are accurate, that we miss the chance to see whether we missed something. Our need to create coherent stories and have them feel believable (and hence unquestioned) leads us to form and protect blind spots. 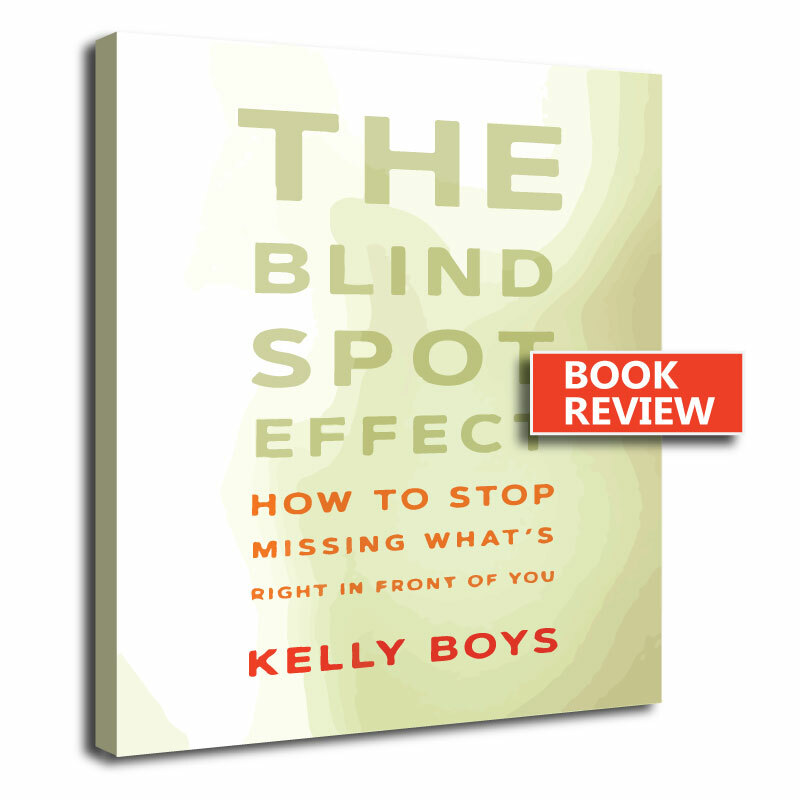 The Blind Spot Effect: How to Sto Missing What's Right in Front of You by Kelly Boys is available to buy on all major online bookstores from July 2018. Many thanks to Sounds True Publishing for review copy.